A small selection of some of my favorite fritters. On the left, sweet potatoes or “Noum Domlong Tchrin” in Khmer. 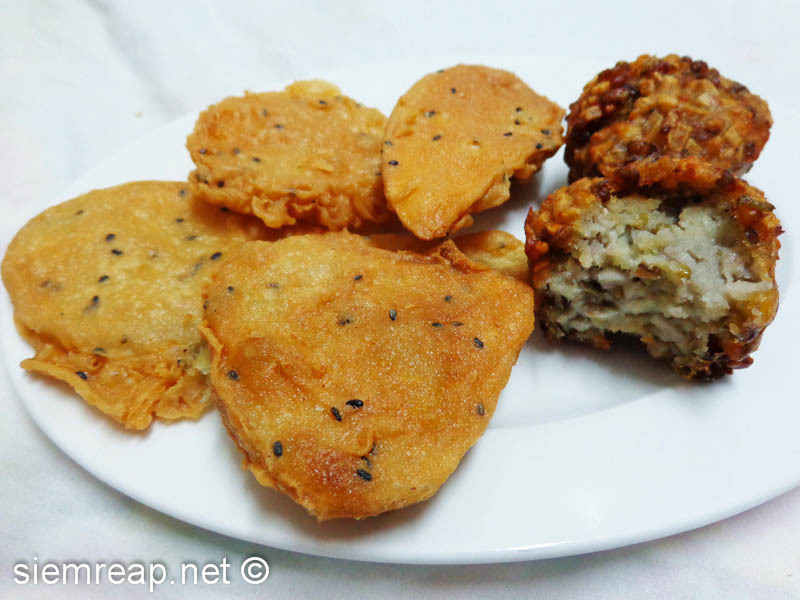 On the right, delicious fritters of soybean and potatoes, called “Noum Tcheung Tchrou”. Price is 500 Riels a piece for both of them.